Persistent falsehoods and urban legends surround the field of rare and collectible coins. I’ve been authoring coin books, holding public forums on coins, and answering collectible money-related questions for decades, and I have identified the top myths about coins. 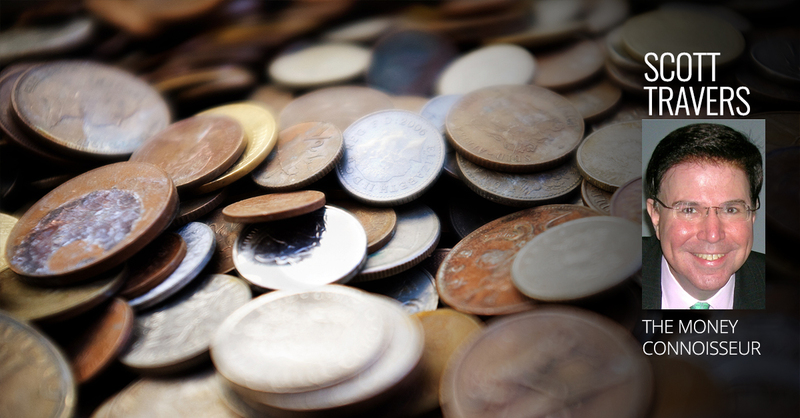 Probably the most widely believed myth is that if a coin is old, it has to be valuable. This belief makes a lot of people who have either inherited or found old coins think they have something valuable when they don’t…and causes people to pay for old coins they assume are valuable when they’re not! Myth: Old coins are all valuable. Truth: Many old coins have little or no value over their face value (what collectors call “premium value”). There are three factors that determine the value of a coin: grade, supply and demand. The closer to perfection a coin is, generally the more desirable it is. A coin with nicks, flaws or other imperfections will be less desirable than its pristine, flawless counterpart. The supply comes into play, too. If you have a high-grade coin in short supply, that could be a big deal in terms of value. But if there are not a lot of collectors who desire that coin or series (the “demand”), then the value still won’t be especially high. A striking comparison: Certain US Lincoln cents, which are a popular series and are in high demand, generally carry strong premium values. At the same time, many ancient Roman coins—far, far older and far more exotic-seeming—were issued in large numbers and have very few collectors who want them. So these coins are not very valuable. Don’t assume that the age of a coin alone tells you anything about its value! One caveat: The metal a coin is made from will establish a minimum or “melt” value for that coin. So, for example, even though many lightly circulated vintage US double eagles from the late 1800s currently have little premium value, they are worth the melt value of their gold—currently around $1,200 apiece. Myth: To receive a “perfect” grade, a coin really does have to be perfect. Truth: With enough scrutiny and magnification, any object purported to be perfect will have visible imperfections, and coins are no different. Coins are graded on a scale of one through 70. A grade of one refers to a coin that is so worn it is barely identifiable as to its type, and 70 represents perfection. So, what does “perfection” really mean in coin collecting? The consensus is that if a coin displays no imperfections under a five-power magnifying glass, then it is worthy of the 70 designation. If you look at that same coin under a microscope—or even under, say, a 10-power magnifying glass—and see scratches or other imperfections, they don’t count. Prominent coin certifier NGC (Numismatic Guaranty Corporation) has gone on record with this five-power standard for modern US coins worthy of the 70 grade. Myth: “Proof” is the highest coin grade. Truth: “Proof” is not a coin grade; it instead refers to a method of manufacture. Proof coins are struck at least twice using specially polished dies and specially selected planchets (blank metal discs that receive impressions from dies to become coins) to assure a chromium-like brilliance. Proof coins are generally sold to collectors by a mint during their year of issue at a price above the face value of the coins. Because proof coins are so startlingly beautiful, manufactured with such tender loving care and attention, and retained by collectors (rarely spent) in their original packaging, the falsehood about proof being the highest grade is widespread. Proof coins are graded or rated on the same one-through-70 scale as their “business strike” (coins made by the mint for general circulation) counterparts. In fact, sometimes proofs circulate. I’ve seen proof coins receive grades as low as three on the one-through-70 scale.